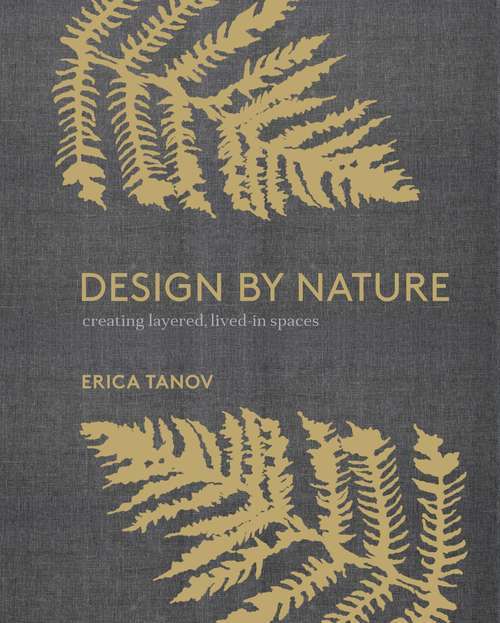 The first design book that translates elements of nature--including flora, water, and wood--into elements of decor for beautiful, lived-in, bohemian interiors, from acclaimed designer and tastemaker Erica Tanov. Inspired by nature's colors, textures, and patterns, design icon Erica Tanov uses her passion for textiles to create beautiful, timeless interiors that connect us to the natural world. Now, in her first book, Design by Nature, Tanov teaches you how to train your eye to the beauty of the natural world, and then bring the outdoors in—incorporating patterns and motifs from nature, as well as actual organic elements, into simple ideas for everyday decorating and design. Design by Nature contains new and imaginative decorating ideas for an organic and bohemian style that mixes and layers rugs, pillows, throws, and drapery, and incorporates unique patterns and fabrics such as shibori, ikat, and jamdani, all stunningly photographed by renowned photographer Ngoc Minh Ngo. With topics ranging from embracing imperfection in your home, to seeking out flea markets, to displaying your collections, Design by Nature takes an enduring and intuitive approach to design that transcends fleeting trends and encourages you to find your own personal style, source of creativity, and connection to the natural world. You don't need to travel to distant locales to find beauty; it's all around us, from the crackle of fallen leaves to the jagged bark of a tree.